Whether you are already an alpaca owner, considering ownership, or simply curious about these remarkable animals, you are always welcome here at Upstream Alpacas. 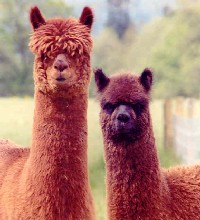 Located in Oregon's scenic wine country, less than an hour's drive from Portland, we have alpacas suited for any goal you have in mind -- fiber production, breeding, or friendly, easy to care for animals suitable for small acreage. 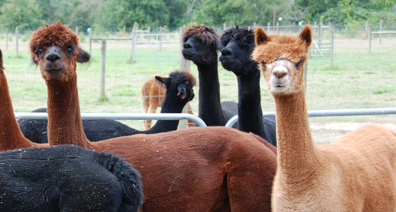 We maintain a moderately sized, select herd of alpacas, so we are able to give them (and you) individual attention. Alpaca fleece, first prized by the Incas, is available from Upstream as both itch-free yarn for your own projects, and as finished products ranging from hats to socks, and everything in between. Get in touch! We'd love to hear from you or have you visit us at Upstream.